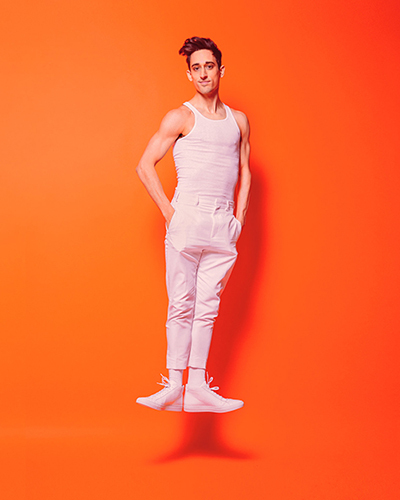 Justin Peck for The New York Times. Photography by Mamadl Boumbouya. Stylist: Jason Rembert. Groomer: Benjamin Thigpen. Mr. Peck started studying ballet at the age of 13. After training for 2 years in San Diego, California, he moved to New York City and began training at the School of American Ballet in 2003. He joined New York City Ballet as an apprentice in 2006, was entered the corps de ballet in 2007, and was then promoted to soloist in 2013. As a dancer, he has performed works by George Balanchine, Jerome Robbins, Benjamin Millepied, and Christopher Wheeldon, among many others. In 2009, he participated in the New York Choreographic Institute’s program and received the institution’s first year-long choreographic Residency. In 2014, Mr. Peck was named Resident Choreographer of New York City Ballet, after he created his critically acclaimed ballet, Everywhere We Go. He is the second person in the company’s history to hold this title, the first of which was Christopher Wheeldon, who held the title from 2001 – 2008. He has created over 30 ballets and his works have been performed by companies such as Paris Opera Ballet, San Francisco Ballet, Miami City Ballet, Pacific Northwest Ballet, LA Dance Project, Dutch Nation Ballet, and of course New York City Ballet. Mr. Peck starred in the film Ballet 422, which documented his creation of New York City Ballet’s 422nd original dance, Paz de le Jolla. He choreographed for the 20th Century Fox feature film Red Sparrow, starring Jennifer Lawrence as Russian prima ballerina, whose dance double was American Ballet Theatre principal dancer, Isabella Boylston. Mr. Peck won the Tony Award for best choreography for the 2018 Broadway revival of Carousel. At only age 30, he is considered “the most eminent choreographer of ballet in the United States” by New York Times dance critic Alastair Macaulay. His first work created for New York City Ballet, In Creases, with music by Philip Glass, will make it’s Arizona debut with Ballet Arizona at Orpheum Theatre in Downtown Phoenix, September 27th – 30th! 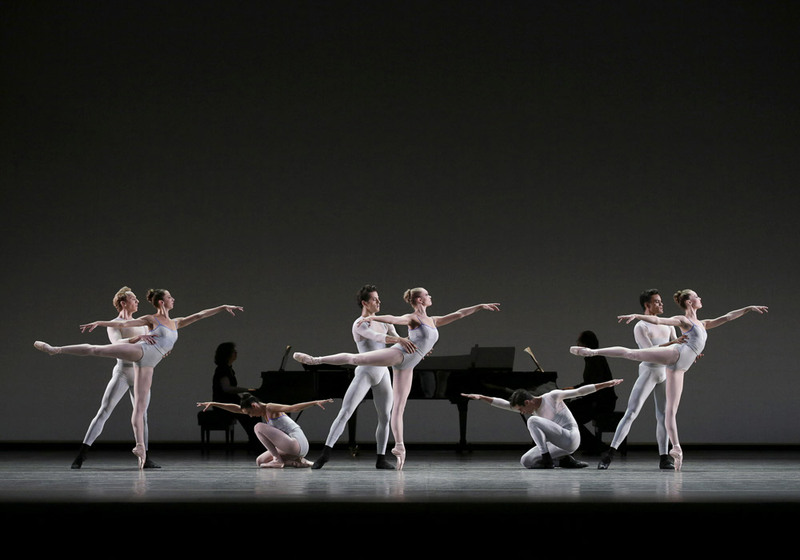 NYCB dancers in Justin Peck’s “In Creases.” Pianists: Elaine Chelton and Alan Moverman. ©Paul Kolnik studio@paulkolnik.com. Don’t miss seeing one of the world’s most sought-after choreographers! Click here to buy your New Moves tickets!